Effectively communicating with their audience and providing important information in a convenient and engaging manner is of paramount importance, not just for them but for the communities they serve. An easy to access and update themselves, fully customized CMS (Content Management System) built on WordPress. Intuitive site navigation to those key service and information content areas. Completely re-engineered their scholarships presentation and applications capture methodology. Search optimized website, content development and presentation. Web development optimized for the rapidly expanding mobile audience of smart-phone and tablet users. Extensive development of forms, calendars, RSS feeds and more. Extensive consultation on best-practices regarding content organization, messaging, usability and client engagement. Analytics… they need direct access to insight on how their website is performing. 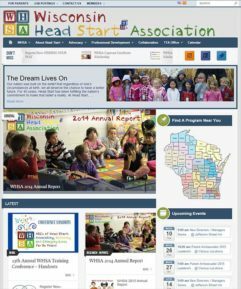 Resonate Web Marketing worked extensively with the Stateline Community Foundation to help them refine and craft their message to be delivered online. Beyond content messaging and website usability improving user engagement was a key objective in development. Their clients and visitors need an intuitive, easy-to-use web presence. The primary objective was to reach, engage and service their broadest possible audience. Stateline Community Foundation understood that service levels are tied to online engagement, and recognized that even more than their own needs and wants, the needs of their audience required much more than a simple, thin “brochure website.”. However, the site had to be easy to update given their continually changing information. As such, they required a robust CMS (content management system) to handle the sheer volume of content. Quality web development therefore was not a nice-to-have, it was an imperative. As typically happens for us, working this closely with clients around their online strategy the working relationship and consulting evolves into a caring, strategic alliance to attain their objectives. We like to think we’re helping them reach their overall goals through leveraging the resources and economies available to them via web technologies. We’ve never simply “built a website”. That’s not what we do. The end result for SCF, improved audience engagement and website performance. For us, another great client we’ve been privileged to work with.